And she couldn't be happier. Really! I know it's hard to tell, but under the mouthguard and face mask, she's smiling. 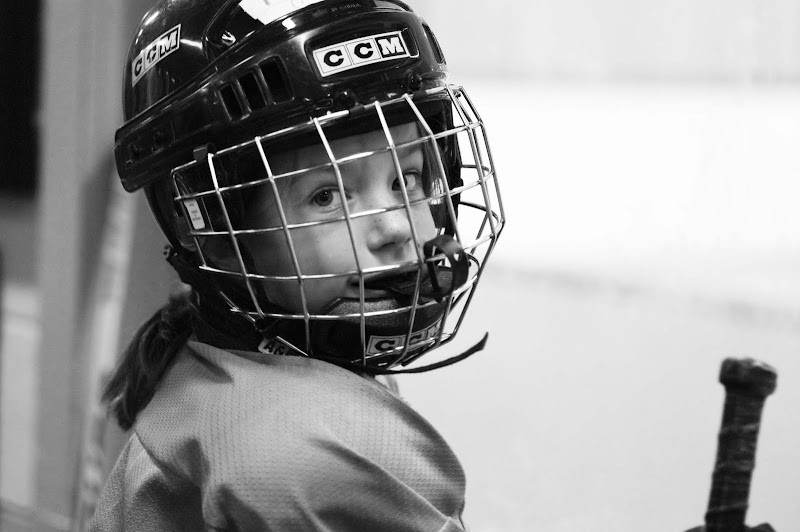 I'm less excited about returning to the oversized meatlocker that houses youth hockey eight months of the year... but I do get a kick out of watching her play, so it's all good.